‘Looking’ and ‘listening’ for electronic signals passing through the atmosphere is a specialised role. We will train you to become a master of this technical role. As an Electronic Warfare Specialist (EWS), you are a key component of the ships war fighting team. EWS primary war fighting role is to identify and defend against Anti-Ship missiles. You will be trained to have intimate knowledge of ships, aircraft, and their associated weapons and radars. Additionally, EWS’ provide communications support in a war fighting capacity and assist in early warning of potential threats against the ship. Electronic Warfare Specialists must be able to gain and maintain a TOP SECRET security clearance as your day-to-day work is highly sensitive. All Electronic Warfare Specialists complete demanding training in technical analysis and equipment usage. Their day-to-day tasks are real challenges that offer great opportunities for high achievers. Electronic Warfare Specialists are able to understand and meet the strict security constraints that surround this type of work, and are also able to present information clearly and concisely to those in command, giving them an overall picture of what is happening from the information collected and analysed. When Electronic Warfare Specialists are not deployed they will work in the Naval Operations Support Unit which is located in the Devonport Naval Base in Auckland. In addition to this Electronic Warfare Specialists may be required to take up positions in the Defence Headquarters or Joint Forces Headquarters, or the Joint Electronic Warfare Support Facility which are located in the Wellington region. Electronic Warfare Specialists at sea primarily work in Defence Watches which consist of a 7 x 5 routine (i.e. 7 hours on, 7 hours off, 5 hours on, 5 hours off). 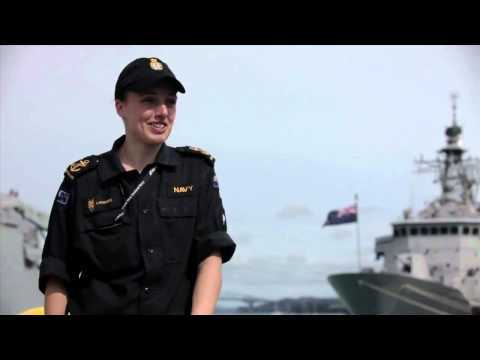 In addition to the primary duties of an Electronic Warfare Specialist, sailors onboard HMNZ Ships are required to perform general tasks, anytime and anywhere to assist with the functioning of the ship. The completion of overnight duties in port is a role performed by all sailors, including Electronic Warfare Specialists, on a rotational basis. Electronic Warfare Specialists are primarily employed on the ANZAC Class ships. However Electronic Warfare Specialists will deploy on the MRV and OPVs if there is an operational need to do so. There are also opportunities to deploy on one of the NZDF operational missions overseas or undertake a posting overseas that will allow you to enhance your tradecraft. Going to so many different places thereʻs so much opportunity out there. If you’re the type of person you can definitely jump in at any chance you get – that’s the reason I joined. As soon as basic and specialist training is complete, Electronic Warfare Specialists usually post to a ship to consolidate the skills learnt and work towards your promotion to Able Electronic Warfare Specialist. When at sea, the Operations Room is where the operations/exercises are co-ordinated. Electronic Warfare Specialists have been predominantly employed on both the Royal New Zealand Navy ANZAC Ships. With the introduction of the Project Protector Fleet (i.e. Multi Role Vessel, Off Shore Patrol Vessels and Inshore Patrol Vessels) Electronic Warfare Specialist personnel will be required to augment these ships in order to enhance the ships Indications and Warnings and Force Protection. In addition, with the specialist training that personnel now receive, there are opportunities for personnel to work in locations around New Zealand and overseas. On completion of BCT, an Ordinary Electronic Warfare Specialist (OEWS) will undergo a psychological assessment in order to determine the right career stream. Once this has been decided and personnel have gained their TOP SECRET security clearance, their specialist training commences. Personnel will either undertake the Able Electronic Warfare Specialist Electronic Intelligence (AEWS (E)) course or the Able Electronic Warfare Communications Intelligence (AEWS(C)) course at the Electronic Warfare Specialist School. All sailors are required to complete damage control (DC) training. The three main components of DC are fire fighting, flooding and toxic gas drills. Seamanship, sea survival, rifle training are also mandatory to be an effective and safe member of the ships company. Further courses, promotions and training opportunities are available throughout your career as are opportunities to deploy on Peacekeeping missions and overseas deployments. Meet the citizenship and security requirements to gain TSS security clearance for this trade. There are strict citizenship and security requirements to gain the required TSS security clearance for this trade.